Beautiful, beautiful song!I know this one will become one of your favorites!! continue reading "Be STILL, My Soul (In You, I REST) ~ Kari Jobe"
continue reading "Scripture Pix ~ Isaiah 61:1"
As Sam watches "Papa" Joe care for and love the kids in his under-resourced neighborhood, she begins to realize that no matter life's circumstances, God's love is always reaching out to us. continue reading "Christian Movie: Unconditional"
you must give it to no one, not even an animal. 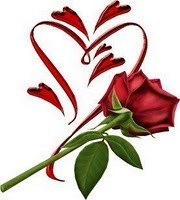 continue reading "EMPOWERING Quote ~ To Love Is To Be Vulnerable by C.S. Lewis"
Let us, then, feel very sure that we can come before God’s throne where there is grace. When you say, “Thy kingdom come,” you are inviting the Messiah himself to walk into your world. “Come, my King! Take your throne in our land. Be present in my heart. Be present in my office. Come into my marriage. Be Lord of my family, my fears, and my doubts.” This is no feeble request; it’s a bold appeal for God to occupy every corner of your life. Who are you to ask such a thing? Who are you to ask God to take control of your world? You are his child, for heaven’s sake! And so you ask boldly. Have you invited Christ to be King in your heart? Your place of employment? Your home? continue reading "Boldness Before the Throne ~ Max Lucado"
Are you chasing the wrong things? that you had at first [you have deserted Me, your first love]. who has the very best plan for our lives. Have you worn yourself out in pursuit of good things? Have you missed the pursuit of the one thing that really matters? The eight 10-minute video-teaching sessions tackle real-life issues, bringing Scripture alongside to shed light on the pursuits that can derail a woman's chase after God’s heart. “Up to the time of Samuel the prophet, God provided judges to lead them. ‘I’ve searched the land and found this David, son of Jesse. Jennie Allen holds a master’s degree in Biblical Studies from Dallas Theological Seminary. But it isn’t just Jennie’s education that attracts women to her Bible studies. Her deep love for women, her vulnerability and her passion for God draws them in. The unfolding power of God’s Word to change lives keeps them coming back. Jennie’s reputation as a teacher has grown enough to attract the attention of publisher Thomas Nelson, which has signed Jennie for two trade books and seven Bible study projects. The first Bible study, Stuck , and trade book, Anything , released in late 2011 and early 2012 respectively. SO grateful to Sara Pence of Shelton Interactive for sending me this DVD curriculum to review. It is a perfect fit for our faithful friends at ECW. The Chase DVD-Based Study by Jennie Allan is an excellent tool that will encourage you to align your heart with God. As you surrender your heart to His, you will make decisions based on what will line up with His will (the Word)...even when the cost is great. Women of God, it's time to Chase after the heart of God!! Pursue the ONE THING that matters!!! Allow God to define who you are. Be a woman whose heart beats with His. Be a woman who will do what He asks her to do. Follow Him, even when the cost is great. continue reading "Chasing After the HEART of God"
The foundation of trusting in Jesus is that he is true. But if absolute truth does not exist, then to say that "Jesus is the Truth" is a meaningless statement. Many definitions of truth fail, but a good definition of truth is "that which corresponds to reality"; simply put, truth is "telling it like it is." Many people in today's culture, both Christians and non-Christians, have questions about why and how to trust Jesus. But there is hope! He is worthy of our trust. continue reading "FREE Kindle Edition ~ 'Why Trust Jesus?'" is caused by calculating without God. continue reading "EMPOWERING Quote ~ Fret and Worry"
You'll learn from leaders that have survived difficult transitions; some that completed successful transitions, and others who have paid the price of a failed succession. You'll get insight both from those who have passed the baton, and those that have received it. continue reading "FREE Online Conference ~ Succession"
continue reading "God's Presence Remains"
What is your kindness quotient? When was the last time you did something kind for someone in your family— e.g., got a blanket, cleaned off the table, prepared the coffee—without being asked? Kind hearts are quietly kind. They let the car cut into traffic and the young mom with three kids move up in the checkout line. They pick up the neighbor’s trash can that rolled into the street. And they are especially kind at church. They understand that perhaps the neediest person they’ll meet all week is the one standing in the foyer or sitting on the row behind them in worship. Paul writes: “When we have the opportunity to help anyone, we should do it. But we should give special attention to those who are in the family of believers” (Gal. 6:10). List some people who could use a little of your kindness quotient. continue reading "Kind Hearts ~ Max Lucado"
continue reading "The Word ~ Every Promise I Need"
is answered by God revealing more than ever our spiritual poverty and utter weakness. that you so often trust in, must all be shaved away." continue reading "EMPOWERING Quote - More of God"
31 Days to Lovely is an introspective look at the biblical requirement to forgive. In this beautiful and easy-to-read month-long journey, Sarah encourages the Christian woman to release her hurts and bitterness by more fully embracing the beauty of her salvation—to dwell on those things that are lovely, and to allow her thoughts to change her life. This book is for anyone who is struggling with unforgiveness or trudging through anger and pain. Through the Word of God, her own testimony, and the experiences of her blog readers, 31 Days to Lovely reveals the power we have in Christ to lay down those issues we've carried for far too long. continue reading "FREE Kindle Edition ~ '31 Days to Lovely: A Journey of Forgiveness'"
Who is more important: the one sitting at the table, or the one serving? You think the one at the table is more important, but I am like a servant among you. In Jesus’ day the washing of feet was a task reserved not just for servants but for the lowest of servants. Every circle has its pecking order, and the circle of household workers was no exception. The servant at the bottom of the totem pole was expected to be the one on his knees with the towel and basin. In this case the one with the towel and basin is the king of the universe. Hands that shaped the stars now wash away filth. Fingers that formed mountains now massage toes. And the one before whom all nations will one day kneel now kneels before his disciples. Hours before his own death, Jesus’ concern is singular. He wants his disciples to know how much he loves them. More than removing dirt, Jesus is removing doubt. Think of Jesus kneeling to wash away the filth of your life. What is your response to such love? 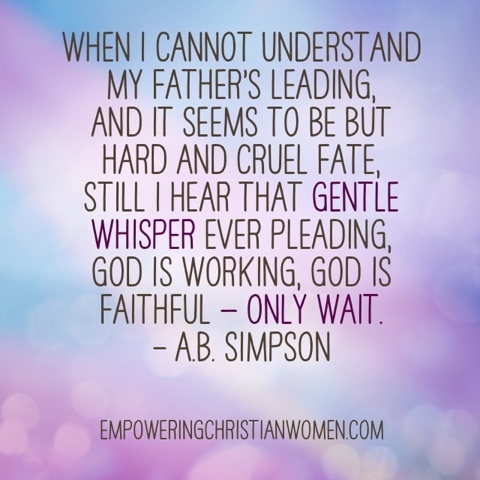 continue reading "Removing Doubt ~ Max Lucado"
God is working, God is faithful — Only wait. 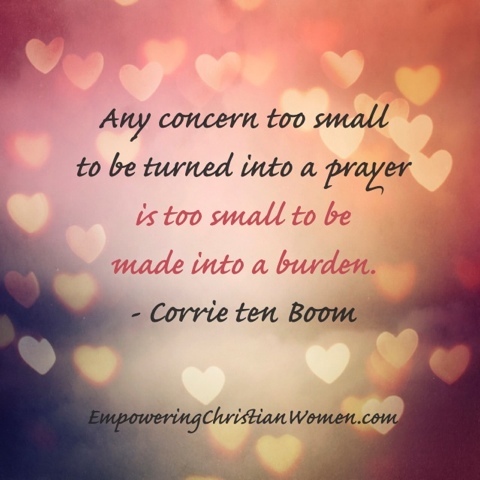 continue reading "EMPOWERING Quote - Only Wait"
continue reading "Empowering Quote - Have Concerns?" “I will trust Him. Whatever, wherever I am, I can never be thrown away. continue reading "EMPOWERING Quote: Nothing in Vain"
What do 33% of American women have in common? They've experienced abortion. You might be one of these women. Or maybe it's your friend, sister, coworker, or the woman sitting next to you at church. Regardless, post-abortive women are in pain, and at some point, most will experience post-abortion syndrome (PAS), a form of post traumatic stress disorder. But they may never talk about it. Many are silent because they are filled with shame, grief and guilt, afraid of judgment and condemnation. Few realize that peace is attainable through Christ's mourning process and the knowledge that because of His grace, they will reunite with their lost loved ones in Heaven. Her Choice to Heal is designed to help women find a way to God's healing after this devastating choice. Written by a post-abortive woman, it includes testimonies of strength, healing and hope. Sydna compassionately leads you on the difficult journey through denial, anger, and grief, to forgiveness, redemption, and letting go. Her Choice to Heal offers a roadmap to healing - practical suggestions, resources for help, space to journal, with the encouragement and hope found in Christ alone. continue reading "FREE Kindle Edition ~ 'Her Choice to Heal'"
You were running superbly! Who cut in on you, deflecting you from the true course of obedience? 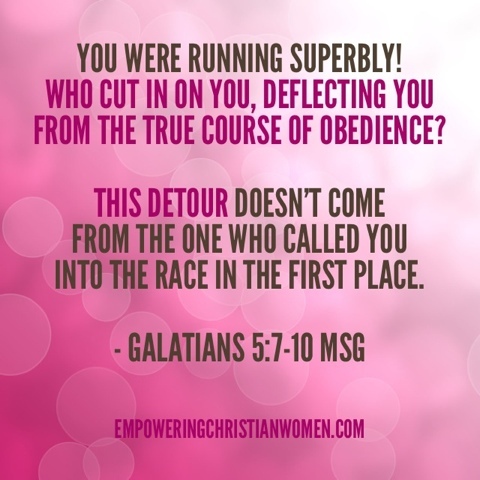 This detour doesn't come from the One who called you into the race in the first place. And please don't toss this off as insignificant. It only takes a minute amount of yeast, you know, to permeate an entire loaf of bread. Deep down, the Master has given me confidence that you will not defect. But the one who is upsetting you, whoever he is, will bear the divine judgment. continue reading "Adjust Your Course!" Can you live up to the example Jesus set? Why would anyone choose a mentor who’s impossible to follow? What if it’s possible to experience real transformation? What if we really can be conformed to his image--in this life? The Impossible Mentor explores why Christians find Jesus a worthy role model but also hold the conviction that no one could possibly live up to his example. Discipleship and spiritual formation books come and go at the pace of diet and exercise manuals, with approximately the same results in the lives of believers. It’s the same cycle: good intentions, fresh starts, followed by frustration, guilt, and eventually resignation. You can break the yo-yo cycle of false starts and the guilt that follows when you stumble. The Impossible Mentor explores the four great challenges to following Jesus, and suggests five practical answers that have helped people of faith through the ages. You can put these answers to work in your life, right now. Author Ray Hollenbach combines slice-of-life vignettes with Biblical resources in a highly readable, conversational style: part pastor, part theologian and fellow-traveller, he explores how to take the yoke of discipleship Jesus offered in a manner that will break the cycle of resolve-and-failure. continue reading "FREE Kindle Edition ~ 'The Impossible Mentor: Finding Courage to Follow Jesus'"
Unexpectedly, we find that our faith has had a collision between high hopes and harsh realities—life isn’t turning out like we expected. 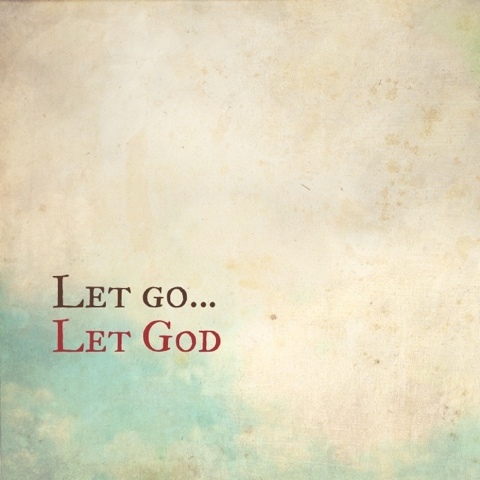 We find ourselves questioning whether or not God is really in control . . . because life sure isn’t. Though He claims to be “all we need,” we’re just not exactly sure we believe that. In our fight of faith, we’re convinced that His thoughts are higher than our thoughts—as hard as we try, we can’t figure God out. And although His ways may be higher, they certainly don’t seem better—we made plans for our lives, but God is directing our steps and taking us places we never wanted to go. It becomes clear that God has brought us to a place in life where faith is no longer an option or a luxury, it’s a necessity— He’s brought us to our knees, so that we have nowhere to look, but up. In our hopelessness, we find God teaching us to trust Him, when there is no evidence that we should. “The Ways of God” takes your faith to the next level. You’ll come to understand that although you don’t know where your life is headed, God does. You’ll grasp that when you can’t know every detail of His will, you can trust it. 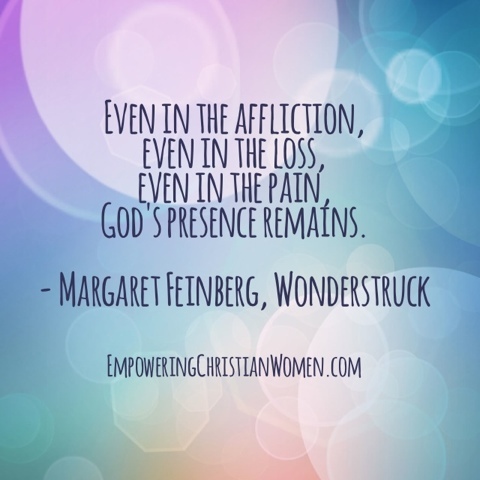 continue reading "FREE Kindle Edition ~ 'The Ways of God (Finding Purpose Through Your Pain)'"